Each year we look forward to the design trends report issued by the National Kitchen and Bath Association. NKBA conducts an annual survey of its members and publishes its findings in February. The trends revealed in the NKBA 2014 Kitchen and Bath Design Trends Survey come as no surprise to us. 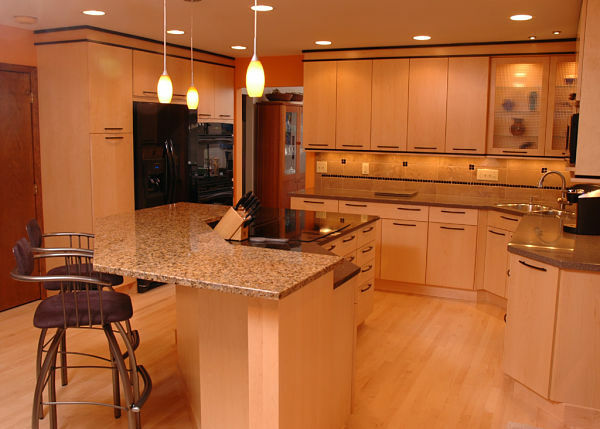 They reflect what many of our customers ask for in their kitchen remodeling projects. Designers noted that homeowners are trying to simplify their home interiors. The interest in contemporary kitchens with sleek designs and few embellishments continues the increase while transitional-style kitchens remain in the lead and shaker styling is third. 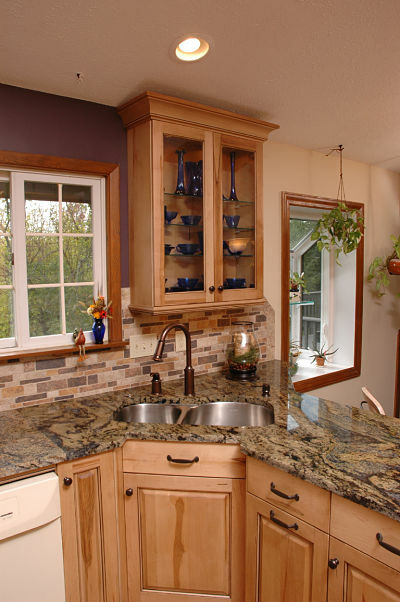 More homeowners are asking for “Universal Design” features as they plan their kitchen remodeling projects. Among requested features are: pullout shelving; wider work aisles for maneuvering; drawer dishwashers, freezers and microwave ovens; multi-height counters; slip-resistant flooring; cabinet lighting; wider entryways; open-concept kitchens and level thresholds leading to adjacent rooms. According to two-thirds of those surveyed, customers are now asking for a desk and a place to charge mobile devices in their kitchens. More than half of the respondents said they are being asked to include flat screen televisions in design plans. Homeowners are requesting dishwashers, refrigerators, freezers and vent hoods that are EnergyStar rated for energy efficiency. 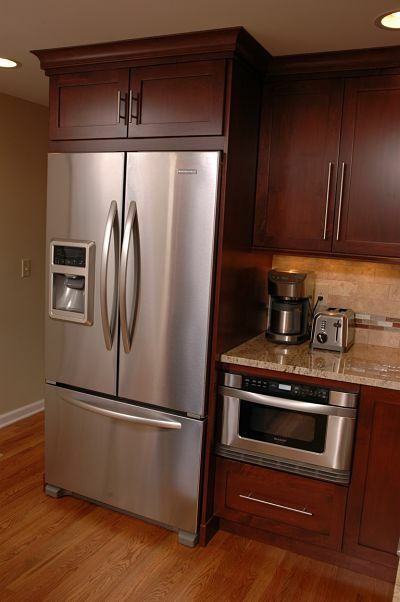 For a list of products that meet these standards visit the EPA's EnergyStar website. 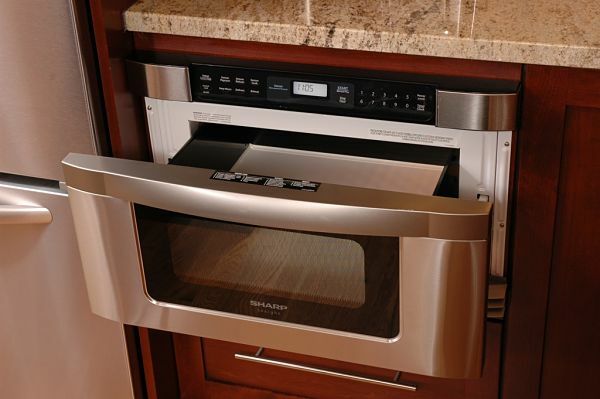 Also, see our article How to Select the Right Kitchen Appliances for Your Remodel. The easy care, endurance and beauty of quartz counter surfaces appeals to consumers. New designs mimic the look of marble and granite. 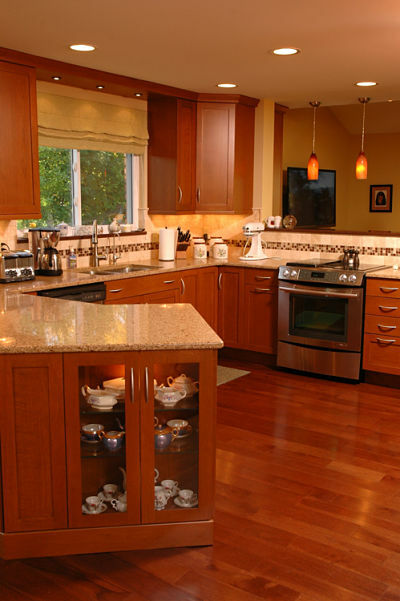 Wood floors continue to be the top choice for kitchens. Wood floors are beautiful and complement cabinetry. They are also easy to maintain. 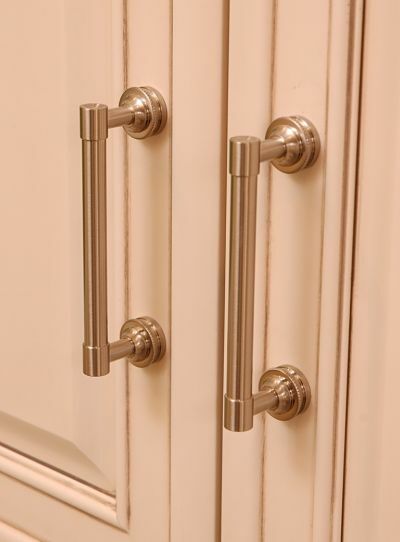 Satin nickel hardware beautifully accents contemporary, transitional and shaker-style kitchens. Stainless steel sinks continue to be the favorite product among consumers followed by porcelain and granite composite sinks. 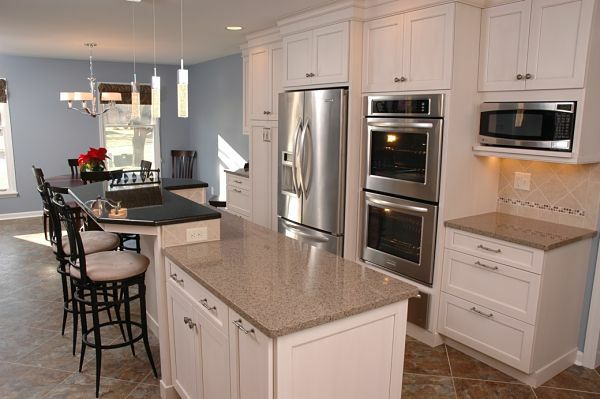 The look of stainless steel complements appliances and today’s popular kitchen styles. Touch activated faucets are gaining popularity and help to conserve water. Glass backsplashes add sparkle to a kitchen. 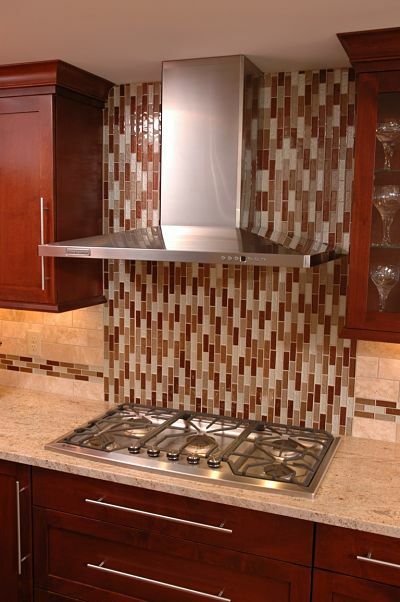 A backsplash can be totally created from glass tile or glass tile can be used as an accent. 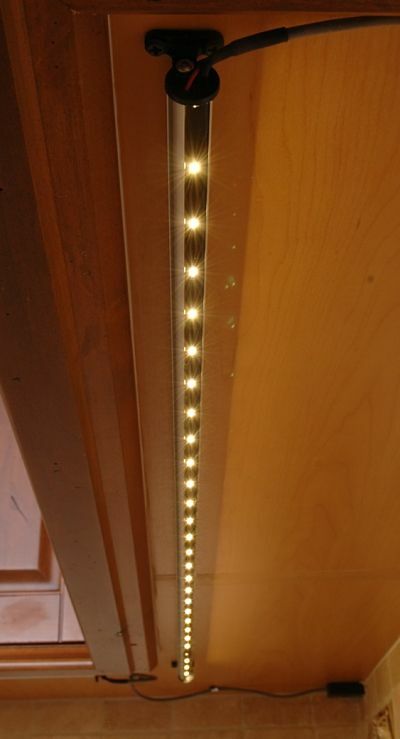 LED lights are replacing florescent and incandescent lights and are being used for general lighting and to illuminate task areas in kitchens. 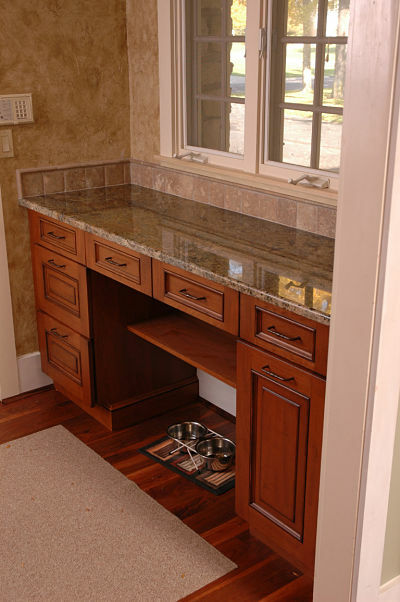 Creating a place for pets in the kitchen is a common request of homeowners when they plan their remodeling projects. 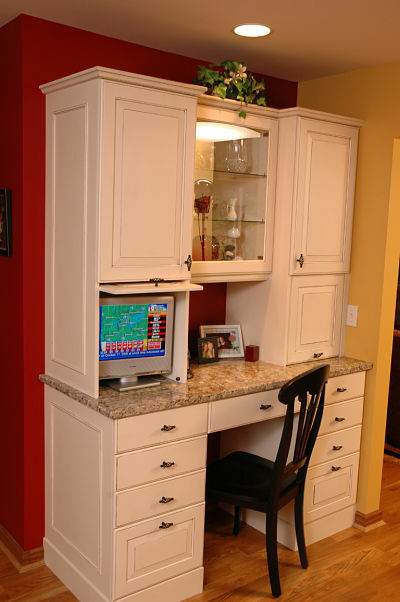 These spaces can be conveniently located within cabinet configurations where they don’t create an obstacle in a kitchen. Drawers and cabinets can be used to store pet supplies.